'Tips For Buying a Home,' Treu Group Real Estate's latest podcast is out! "Tips For Buying a Home" includes everything from tips on saving up for a down payment, to advice on building your credit score, and even what you should expect when applying for a mortgage. It is important to understand how to find the right home, know the process to expect and how to select the right agent and lender. Lisa Treu started her real estate career after a disappointing experience when Steve and Lisa purchased their first home. They felt alone and unrepresented. After all these years Lisa still remembers her first home buying experience and it encourages her everyday to be better. It is the reason that Lisa believes that buyers should have a buyer's agent on their side. Most buyers don't realize that they don't have a buyer's agent. The great news is that a buyer can have someone on their side with a proven track record and the seller pays for their services. 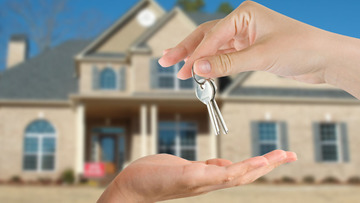 The steps to finding your new home as discussed on the show on "Tips For Buying a Home,"
1. Start saving for your downpayment and closing cost. 2. Make sure your credit is in good shape. 3. Pause any new credit activity. 4. Determine how much you can afford. 5. Understand what the post closing expense will be in the future. 6. Have and agent on your side. 7. Understand the contract to close phase of the home buying process. Buying your first home is a huge step for many people. First time homebuyers often underestimate their own status in the home buying process. Tune in to "Tips For Buying a Home" to see how far you might be from buying a home.